We are one of the renowned organizations engaged in manufacturing, exporting and supplying Sheet Metal Products and also provide Powder Coating Services. We offer quality approved Sheet Metal Products and Services including Industrial Sheet Metal Products, Precision Sheet Metal Products, Sound Proof Cabinets, Sound Proof Enclosures, Metal Parts. 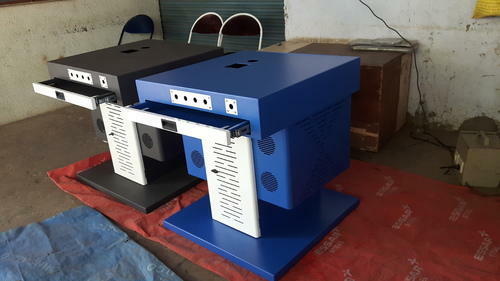 M.S., S.S., Aluminium, Canopy, Sheet Metal Cabinets, Server Racks, CNC Fiber Laser Cutting Machines and NC Bending Machines. Further we also offer, Electrical Panels Enclosures, Metal Hinges, Metal Enclosures and Metal Junction Boxes. These are offered in various specifications to suit the requirement of our clients.